DONALD BUMP Calgary, Canada Break Beat Dojo / WolfCastle Agency / Broken Monster Records / The Syrup Smugglers *MORE DOWNLOADS * https://donaldbump.bandcamp.com/ *DOWNLOAD NEW LIVE MIX HERE* https://www.mixcloud.com/donaldbump7/donald-bump-duplex-livewaynefest-2016/ During the alcohol prohibition that was in effect from 1919 until 1933, Donald Bump and The Syrup Smugglers used to store bootleg liquor as it made its way to the United States from stills in such Kanadian locals as Bump Town of rogues, but during the Depression years, many a costal family supplemented its income by supplying a thirsty nation with the maple syrup and illegal beverages it craved. Syrup Smuggling is one of Donald's favourite pass times but he will always save time for his other Passion 4X4 Klub Beats, Breaks and Lazer Bass. Although this may be the first time you have heard of Donald Bump his other alias has been work hard in the club scene since 2002, playing over 150 different clubs and special events. 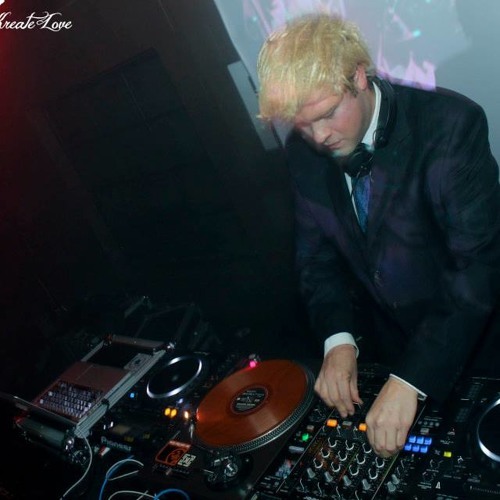 Donald's knowledge and passion for music alongside many hours creating his sound has NOT been unnoticed, getting international support from top Djs and Producers like Deekline, Tradelove, The Freestylers, Marten Horger and The Plump Djs . Not a new comer and more of a Kanadian club originator, he has recently been billed along side the likes of DJ Nu-Mark, Serial Killaz, Funkanomics, Wood-n-Soo, Nick Thayer, Mafia Kiss, SkiiTour, NAPT, Slynk, CMC & Silenta, Bobby C Sound TV, Longwalksortdock, JFB, DJ Icey , Peo De Pitte , Atomic Hooligan, Justin Martin, Lady Waks, Barry Ashworth of the Dub Pistols, Basement Freaks, REL 1, JPOD, Stanton Warriors and Many More.